The Allendale Theater, 207 Allen Street, was built in 1913 by clothier Levin Michaels. Designed by Leon Lempert & Son in the neoclassical revival style, the Allendale staged silent films and performances by W. C. Fields, Katherine Cornell, and the Barrymores. By the 1970s, it featured dirty movies, and closed in 1982 after a short run of Alfred Hitchcock films. 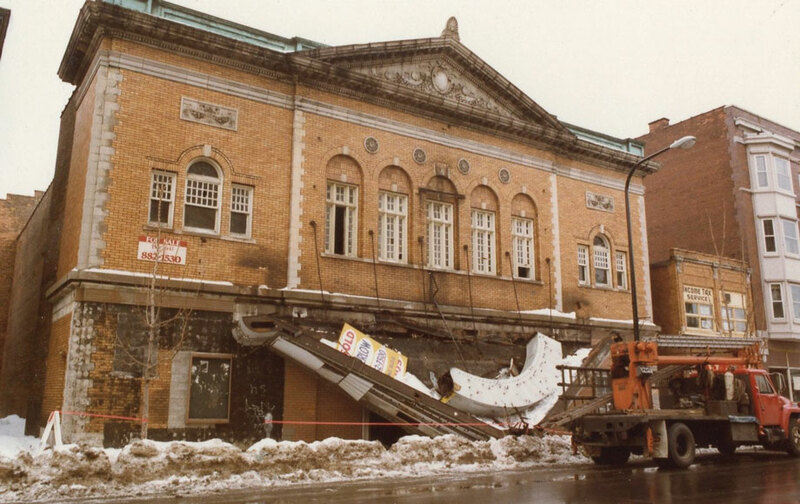 In 1985, the marquee collapsed into Allen Street, the event a metaphor for how far Buffalo—all American cities—had fallen to neglect. Later that year, the Allentown Association successfully outbid another party—intent on demolition for parking—for $1,000 at the city foreclosure auction. In 1986, the Theater of Youth (TOY) started a two-year, $1 million restoration project that grew to 13 years and more than $3.5 million—the Allendale reopening in 1999.